The story “Fly” throws light on the fact that time is a great healer and it conquers grief. Mr. Woodifield comes to see his ex-boss. He is retired and is a heart patient. He praises the new setting and furniture of the office. Then the boss offers him whisky. After drinking it, Mr. Woodifield remembers what he has forgotten. He tells the boss that his daughters have visited the graves of the boss’s as well as Mr. Woodsfield’s son. Actually, they have died in a war. When Mr. Woodifield has gone, the boss remembers his dead son. He tries to have the same feelings of grief as he felt on the day of his death. However, he fails. For the last try, he decides to go to the photograph of his son, but a fly in an inkpot attracts his attention. He forgets all about his son. He takes the fly out of the inkpot and puts it on a blotting paper. As soon as the fly is about to fly, he drops a drop of ink on it and enjoys its struggle. At last, the fly dies of drops of ink. The boss throws it away and orders for a fresh blotting paper. Then he tries to remember what he was thinking before attending to the fly. It means he forgets his dead son again. What is the theme of the story “Fly”? No doubt, this is quite established fact that the story “The Fly” is about the conquest of time over grief. This is the first theme of the story. To show that time conquers grief the writer presents two characters, Mr. Woodifield and his ex-boss. Both of them lost their only sons six years ago. It was a long period and it had healed up their grief. First, the writer tells us about the state of grief of Mr. Woodifield. He talks about his son and his grave, but does not feel any pang of grief. This clearly shows that the time has made him forget his grief. Discuss the writer’s views about life, death, and fate as given in her story “The Fly”.“As flies to wanton boys are we to the gods; they kill us for their sport.” Discuss.What does the Boss do to the fly at the end of the story and what does the death of the fly signify to him?What is the theme of the story fly? When we read the story carefully, we find that the fly in the story symbolizes helplessness of man before fate. Just like the fly, man tries hard and gets out of the grip of death for the time being, but fate captures him again. Man has no power to defy fate and fall an easy prey to it. When we read the story, we find that the writer and all the characters in the story stand for the fly. This incident of the fly highly is symbolic. 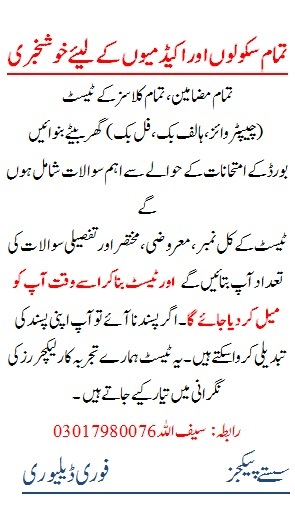 The writer herself died of T.B that was incurable at that time. Many people were dying at that time. Later, man discovered a cure for the disease and thought that he had escaped death and had defied fate. However, just like the Boss, fate dropped another drop – AIDS. Now many people are dying of it. Now it is the last drop. Just like the fly, people cannot survive it. We hope that man will discover a cure for it. However, who knows what the next drop is like. 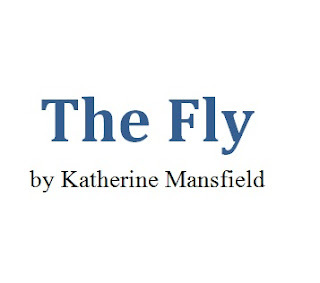 What does the fly stand for?Bring out the symbolism in the short story “The Fly” by Katherine Mansfield. The fly in the story “The Fly” symbolizes helplessness of man before fate. Man may try hard to escape his death, but he is not given a chance to escape. Just like the fly, man tries hard and gets out of the grip of death for the time being, but fate again captures him. He has no power to defy fate and fall an easy prey to it. When we read the story, we find that the writer and all the characters in the story stand for the fly. To convey this idea, the writer tells a brief incident. A fly falls into an inkpot. The boss sees it, puts it on a blotting paper, and enjoys its struggle. Just when the fly is able to escape death, drops a drop of ink onto the fly and enjoys its struggle again. At last, the fly dies of those drops of ink. Describe the reaction of the Boss when he comes to know that Mr. Woodifield’s daughters have visited the grave of his son. The reaction of the Boss is that of a father over the death of his only son. However, he does not express his grief before Mr. Woodifield. When Mr. Woodifield has gone, he sits in his chair. He asks Mr. Macey that he will see nobody for half an hour. He wants to feel the same pang of grief. The writer describes his condition, “He wanted, he intended, he had arranged to weep…” It is a terrible shock to him when Mr. Woodifield mentions the grave of his son. He imagines his son lying in his grave. He groans, “My son!” However, no tears come yet. In the past, in the first months and even years after the death of his son he could not control his tears. He thought that the time would never change the condition of his grief. He had developed his business for his son. Everybody liked his son. However, he went to a war and died. When he received a telegram about his death, he felt the whole place crashing about his head.